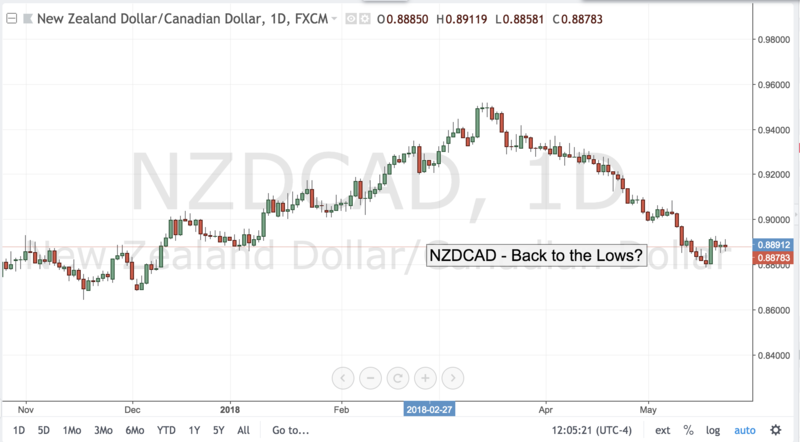 At the start of the week, the Aussie got the bulls hearts racing as it barrelled through the .7600 level on much better than expected Retail Sales data. 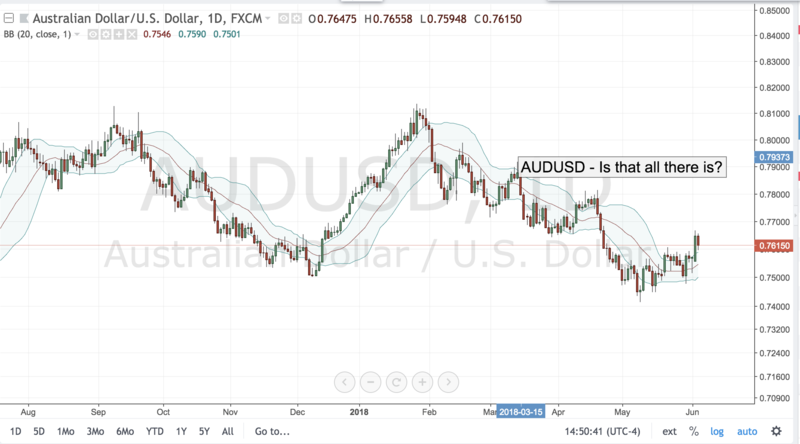 But the excitement didn’t last as the RBA quickly poured cold water over any expectations that the central bank would alter its neutral stance anytime soon. The RBA kept rates on hold for 22nd consecutive month offering nothing new as far as future plans. It made a mildly positive remark about the trough in wage growth, but wages remain well below the RBA normal growth path of 3.5% and in the meantime the central bank remains concerned about the growing trade tensions between US and China, worried that Australia may bear the fallout of any trade war. 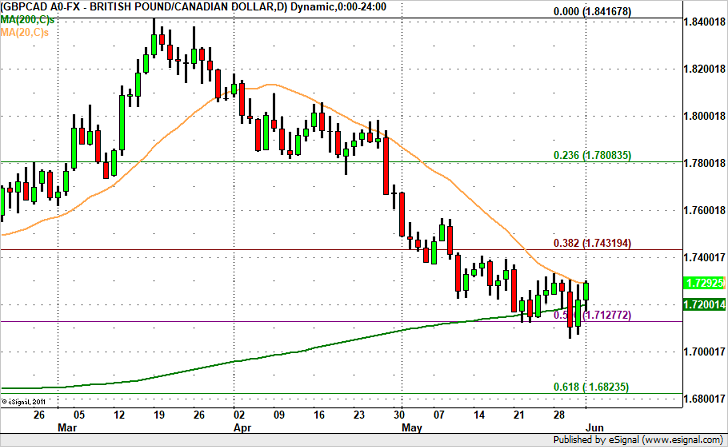 GBP/CAD – Back to 1.74? that would require NAFTA to be renegotiated in 5 years unless both parties agreed to renew – a term that the Canadians quickly rejected. 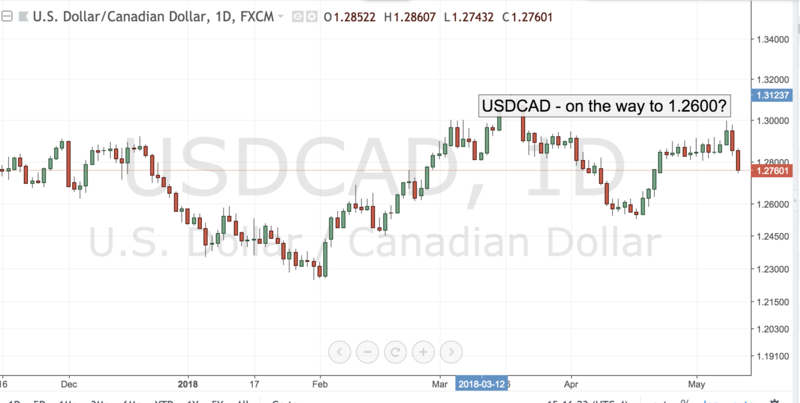 What appeared to be a done deal is now very much up in the air and until there’s a positive resolution, the Canadian dollar will have a tough time rallying. 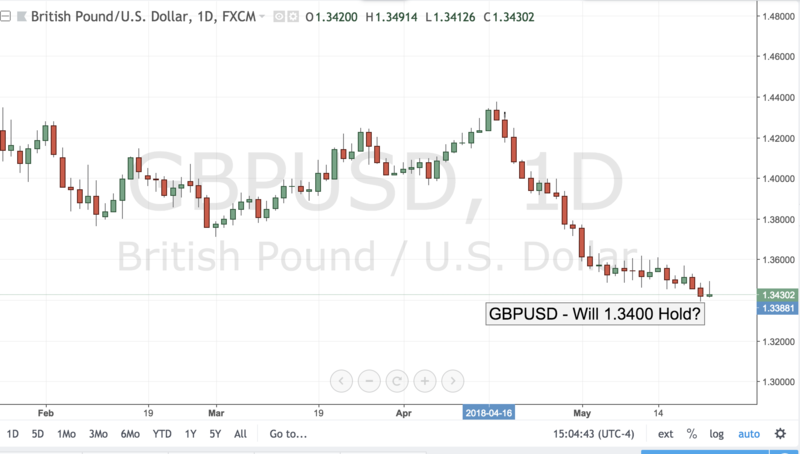 Technically, GBPCAD has found its way back to the 20-day SMA and given the strength of the past 2 day’s moves, we expect the pair to blow past this resistance level on its way up to 1.74. 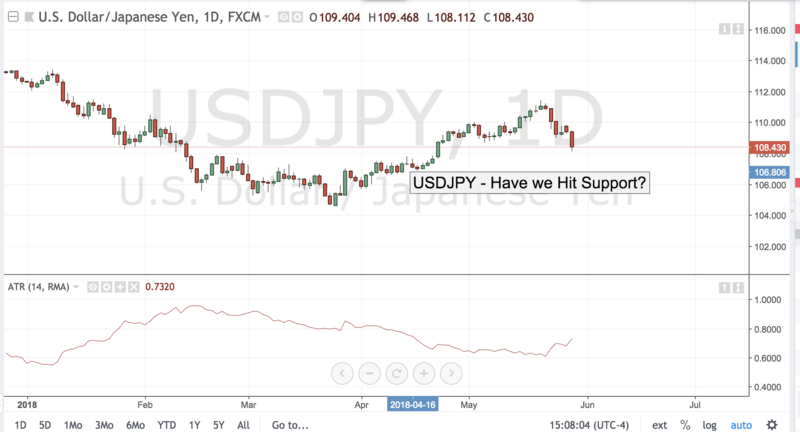 Is the party over for USDJPY bulls? 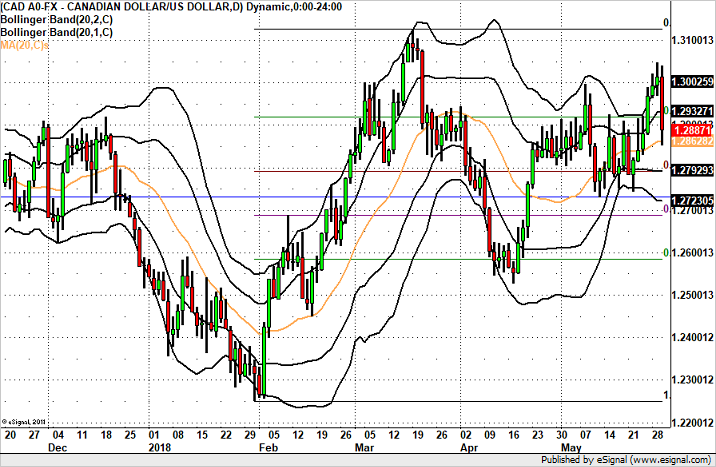 With North Korean summit canceled, a relatively dovish Fed and deteriorating housing market, the positive sentiment has been pummelled this week. Although geopolitical tensions can certainly be a sore, the true point of stress may be housing. 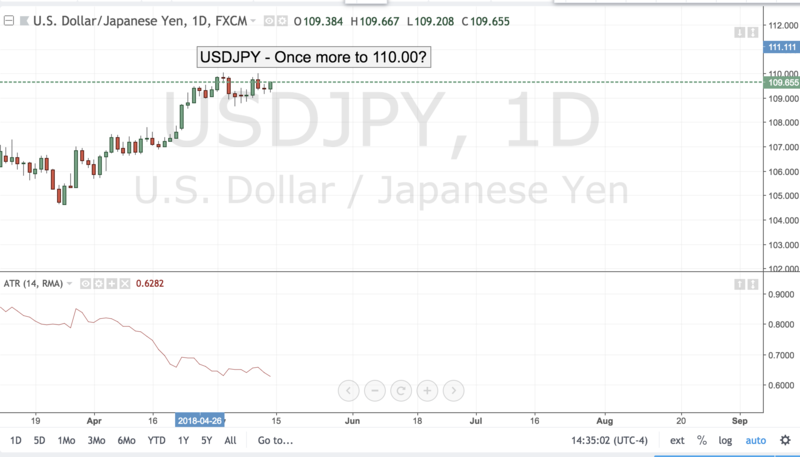 USDJPY – Once More to 110.00? Last week’s tepid US CPI readings and the weak NFP readings the week before that have cooled traders expectations of Fed rate hikes going forward with the market essentially pricing in the prospect of only 3 hikes this year. Fed officials, however, continue to assume a hawkish stance with Cleveland President Mester reaffirming the view that inflation may go above the 2% range. So far the Fed analysis has been far too optimistic core CPI readings did push through the 2% ceiling last month – but only just – marking only the second time this year that the core readings have risen above the 2% level. Part of the reason for muted inflation readings is the woefully slow gains in average hourly earnings. Given the tax cut, the stimulatory aspect of fiscal policy and the relative tightness of the labor market, economists expected nominal wages to rise between 3.5%-4.0% by now, yet the gains have only been 2.6% creating very little real wage growth for the US consumer. Tomorrow’s US Retail Sales will provide the most important view of the state of US final demand. The market is anticipating a rebound in US Retail Sales of 0.5% from 0.2% the month prior. 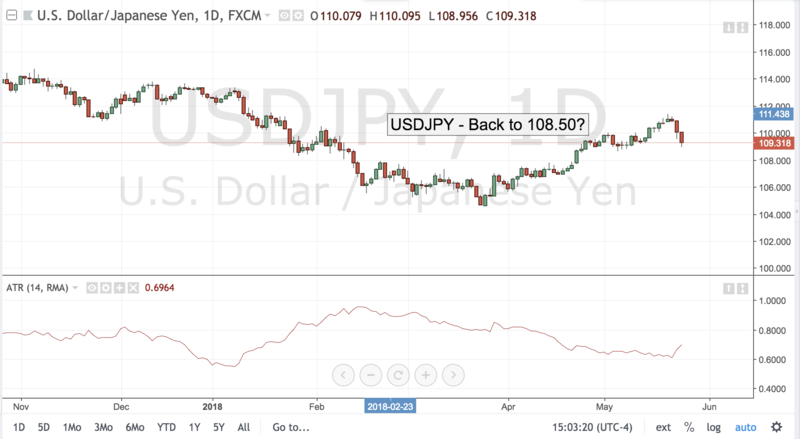 If Retail Sales improve USDJPY will make another run at 110.00, but if the number misses its mark once again and shows a paltry growth of 0.2% or worse, the Fed futures market will start to pare its bets regardless of what the Fed officials will say as evidence will continue to mount that case for further tightening is simply not there.